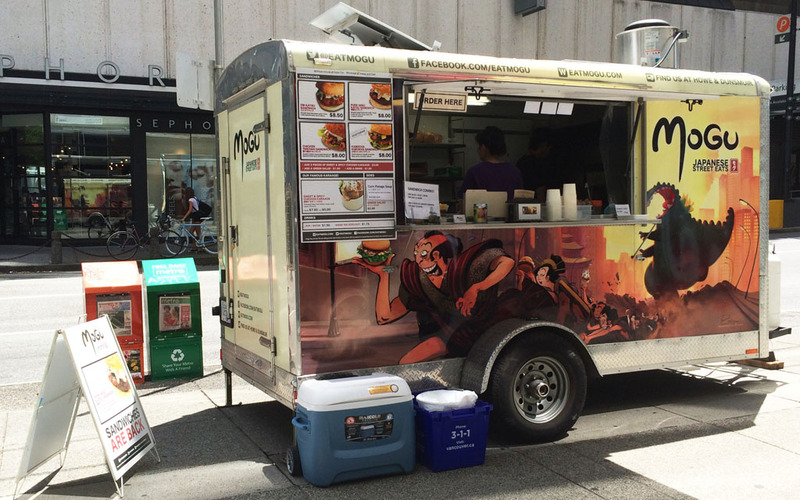 Located on the corner of Howe and Dunsmuir Streets in Vancouver’s downtown, Mogu’s mobile cart offers affordable, quick, delicious food-on-the-go. Open from 11:30am to 2:30pm Tuesday through to Friday, Mogu’s cute little food cart, with its funky design and upbeat staff, specialises in gourmet-quality Japanese Street Eats. The menu is pretty simple and limited to just a few items (a handful of Japanese sandwiches and one chicken dish), which is the way it really should be for a food truck. As a result, the Mogu’s team are able to get their meals out fast and focus on the dishes they do well. While the sandwiches are reliably good, I can’t recommend the food trucks signature dish, the chicken karaage highly enough. It’s fresh, flavourful and at $7 (for a rather big tub) it is sure to hit the spot. From just one bite you’ll instantly see (more like taste) why Mogu’s chicken karaage is often hailed as the best in the city. The bite size pieces of chicken have a wonderful taste and texture. They’re hot, juicy, deep fried and deliciously marinated in a home made sweet chili sauce. They’re also perfectly crunchy on the outside and moist on the inside. This is a dish that will certainly keep you coming back for more, time and time again. Since there really is no option to sit down near the food cart, I suggest walking a block or so over to the Vancouver Art Gallery where there are a number of benches, as well as the gallery’s steps and front lawn to sit on and enjoy your Mogu lunchtime treats. Mogu is one of the best food trucks I’ve come across in downtown Vancouver and a place that I will certainly be returning to. 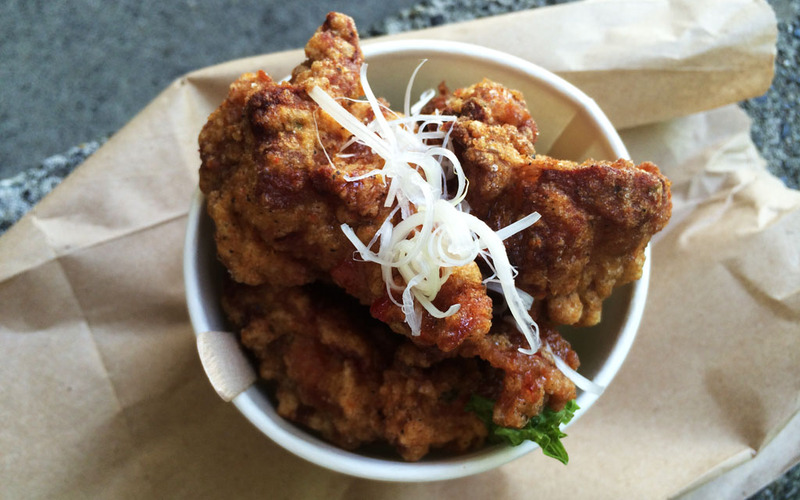 So keep it in mind if you ever find yourself craving some chicken karaage, or if you’re simply hungry and in the area. I assure you, you will not be disappointed.